How to install cladding – If your wall is plastered and painted then cut groves into the wall using an Angle Grinder(Horizontally and Vertically). Then use a Chisel and Hammer to chip off sections of the paint and plaster. 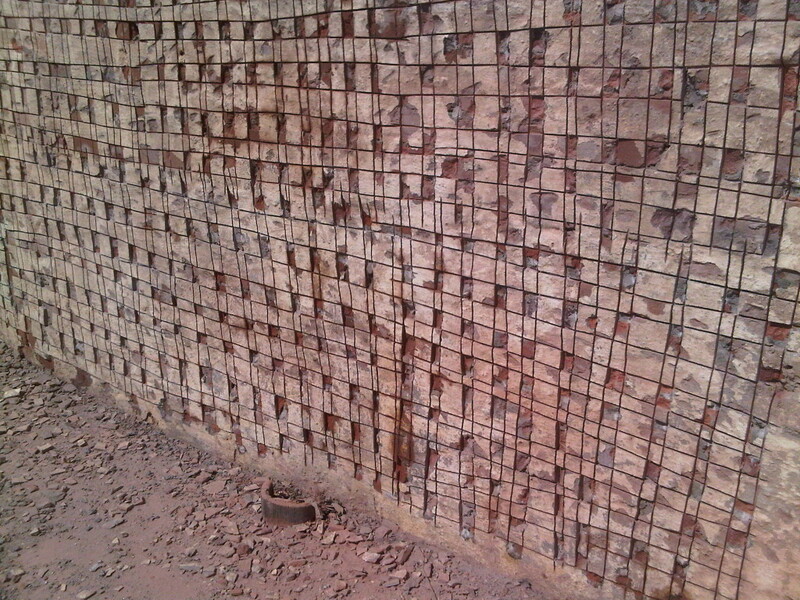 This will allow the mortar to bind to the wall properly. You should end up with a wall looking like this. 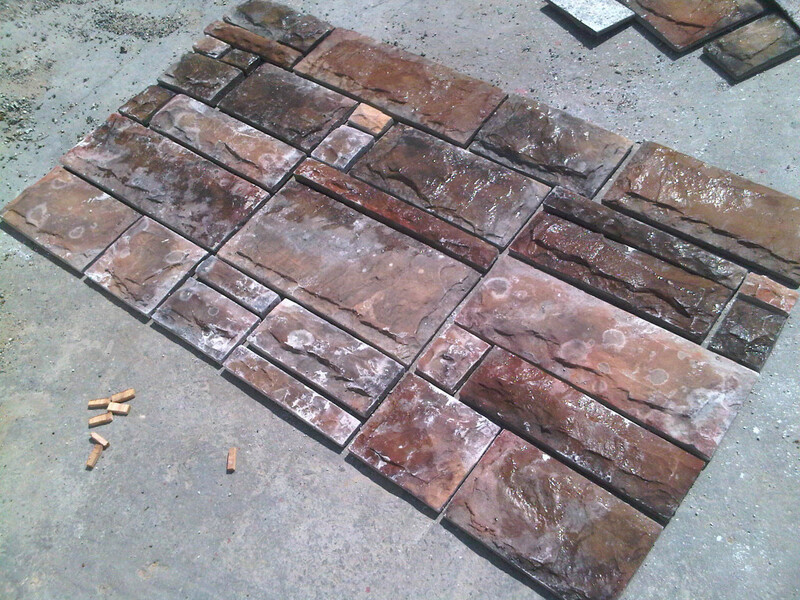 Lay out a few sq meters of Castle Stone Cladding on the floor to practice the different styles. Once you understand the pattern then you can start to install. 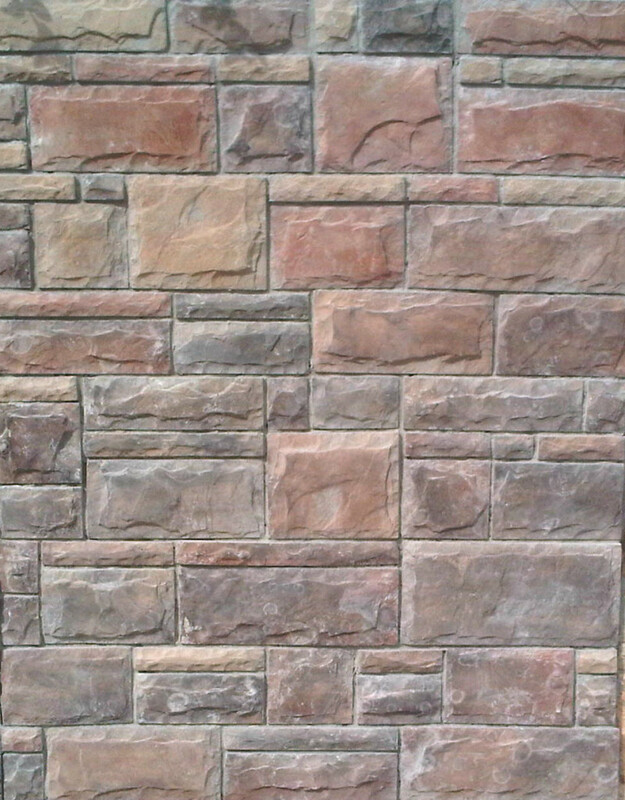 10mm spaces are needed between each stone. Wet the wall with a block brush. 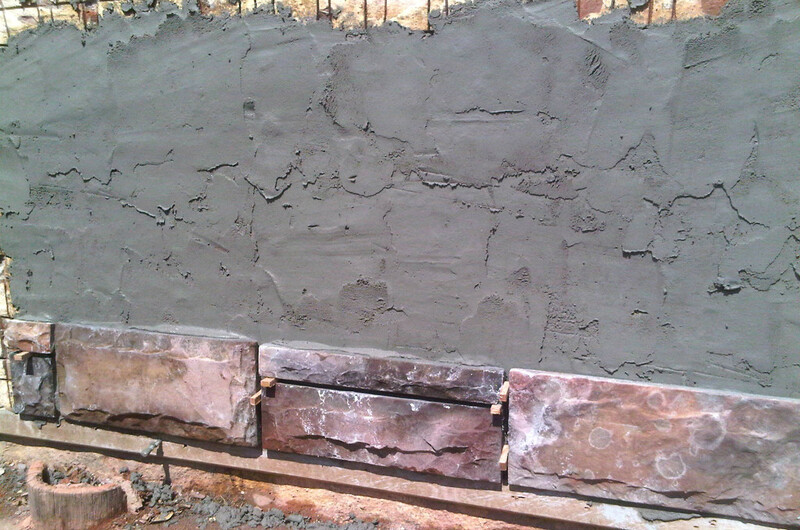 Apply the mortar to the surface of the wall . 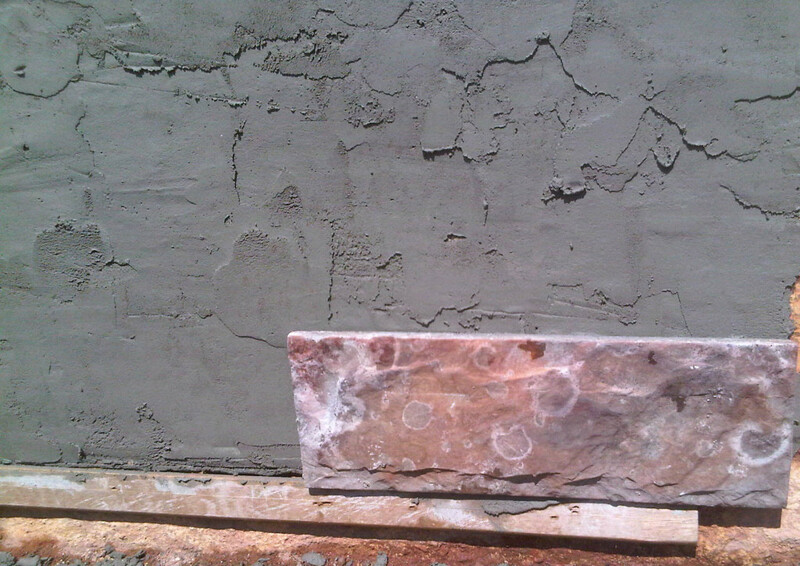 Press the stone cladding onto the mortar and tap the stone using a rubber hammer. If the mortar is overflowing then there is either too much mortar on the wall or on the stone. 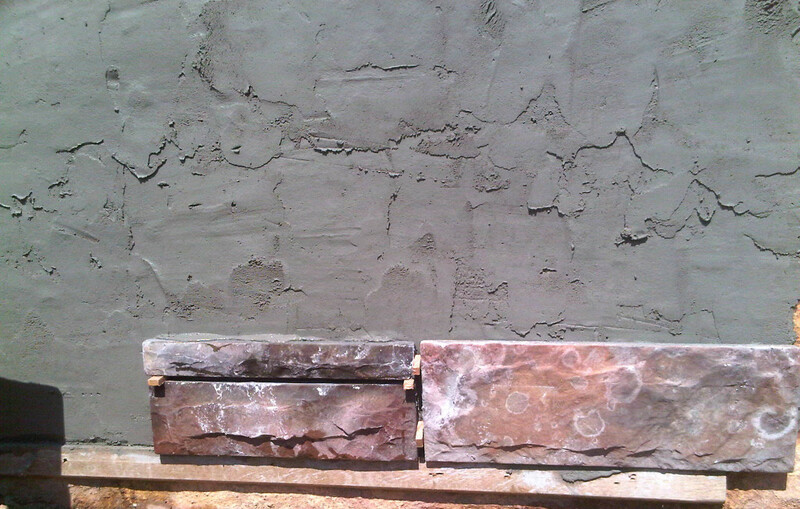 Try not to mess the face of the cladding with mortar. 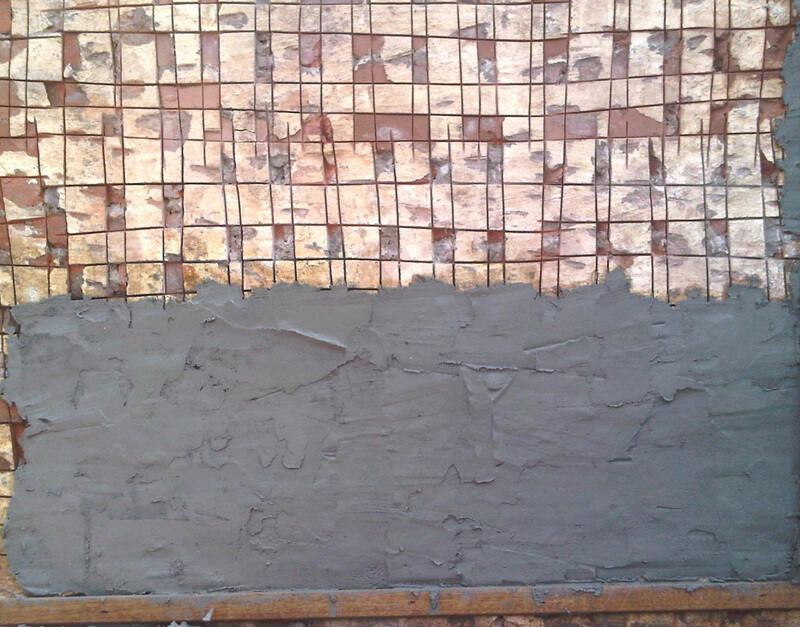 of a paint brush to cut the excess grout out. Use a DRY Paint brush to remove all excess grout from around the stone cladding. 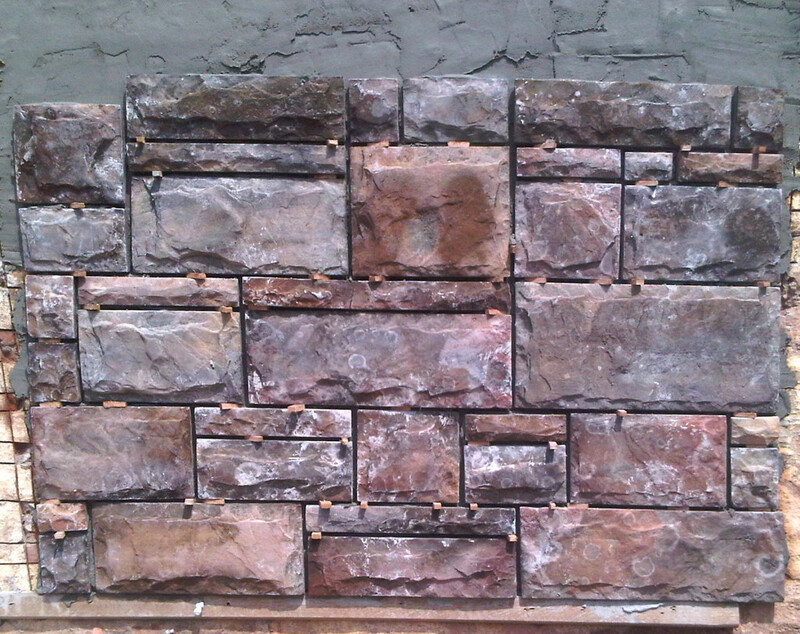 Before leaving for the day: Check that you have removed all excess mortar from the face of the stone cladding. Use a small piece of stick to remove all the excess mortar and then use a DRY Paint brush to dust off the face of the stone . 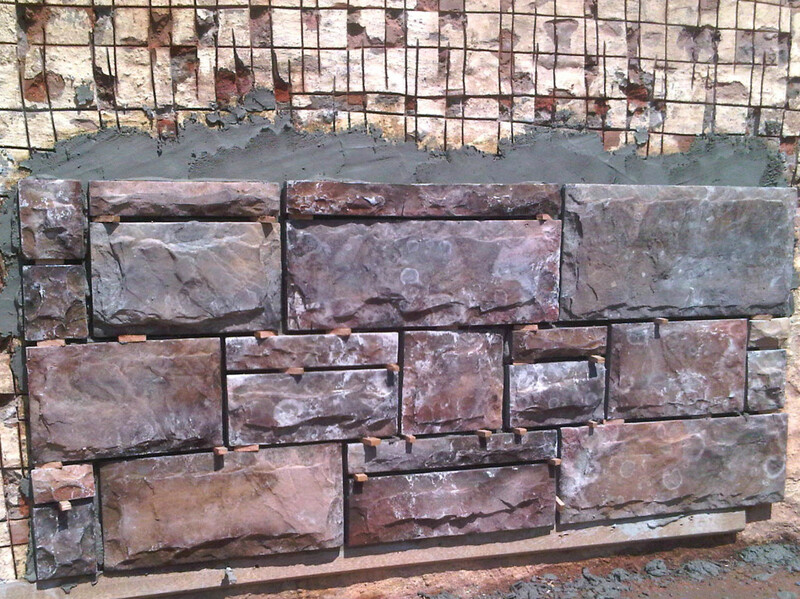 Do not let the mortar dry on the face of the stone over night as it will be difficult to remove once it dried. Do not use Acid Based Products to clean the face of the stone. After 4 days you can use a hose pipe to wash off all the dust on the stone .